Do you feel like buying the product you’ve just seen on TV? Liked that song on the radio a lot? No wonder. They’ve been carefully designed to meet your expectations of an ad or a radio hit. 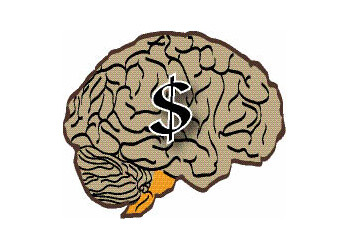 Welcome to the world of neuromarketing! “When people hear the word ‘neuromarketing’ they associate it with manipulation, because they don’t know exactly what our research is all about,” says Anna Choromańska, Client Service Director from LABoratory & Co, a company dealing with marketing research. “We do not try to change the customer, but to understand him better, to answer the needs of the market as best as possible. Neuromarketing, nowadays called biometric research, is just another modern method of surveying marketing communication that can really contribute to classic market survey methods based on declarations. Going beyond declarations is the main idea, because for people it is sometimes very difficult to describe their emotions, that’s why we don’t ask them what they think they feel, but we analyze their reactions,” says Choromańska. The forbidden method of advertising is subliminal advertising – millisecond exposures of products in some other visual material; it is forbidden by law, as consumers cannot see the stimulus affecting them and therefore are unable to protect themselves. Neuromarketing is simply feedback analysis using, for example, electroencephalography (EEG), which is a recording of the electrical activity of neurons within the brain; the examining of micro-movements of mimic muscles by means of electromyography (EMG), tracing eyeball movements, or functional Magnetic Resonance Imaging (fMRI), which is measuring the response of blood activity in the brain related to neural activity in the brain or spinal cord. Tests conducted using these methods are much more precise in determining what customers really like and can give valuable hints not only to marketing departments, but also help creative agencies pick certain solutions in creating an advertisement for certain target groups. “Biometric research doesn’t form a model of the perfect commercial,” stresses Choromańska. “It does, however, allow one to precisely determine what respondents like and what they do not like, and provides information concerning the effectiveness of various creative means in advertising. Thanks to biometrics, creative agents will be able to know what exactly evoked positive or negative emotions, not only in ads but in film trailers or video clips as well, as precise as to one millisecond. It is only important that companies using neuroanalyses make sure that only experts use them and do not allow companies to over-interpret the obtained data,” concludes Choromańska. Poland is viewed as one of the leaders in neuromarketing, due to its number of highly qualified specialists from different branches of science and marketing that work together to come up with state-of-the-art solutions. However, according to the experts, Western European and American markets are much easier to operate. “Unlike Spanish, German or American companies, Polish companies have problems with accepting neuromarketing as one of our testing methods. They prefer to use classic methods only. In terms of developing an awareness of biometric measures and their possibilities on the Polish market there is still some work to be done. Unlike the U.S. market, where the consciousness of such methods is high and still growing,” says Natalia Gruszecka, PR manager at LABoratory&Co. ← Aphex Sin or Win?